The Polish Geophysical Society was established on 25th October 1947. It was founded as an institution to promote the advancement of geophysical sciences mainly meteorology, climatology, hydrology and physics of the Earth. 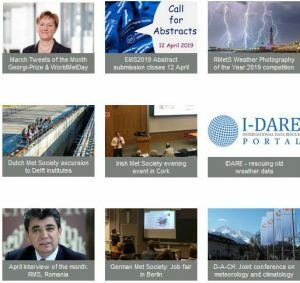 The Society has its own journal, published four times per year – The Geophysical Review, where scientific papers are published, but also reviews of geophysical book, reports from conferences and texts about history of Polish geophysical sciences. Society’s aim is also the support of field research and expeditions, lectures and conferences. It also devotes much attention to education and popularising science.